Happy Sunday. Yes, sometimes a nap is just the thing to do. I have no time for one today, as I have lots to accomplish before my day ends. I hope you enjoy my picture as I’m showcasing some awesome stuff. As always, all the details are below and wishing you all a fantastic rest of the day. Hello everyone. I’m showcasing the newest release by Scarlet Creative. The Magicae House is actually a collaboration between Scarlet Creatie and Hive, the latter having made the kitchen inside. I hope to feature that soon. This home is available until 7th November at the mainstore for just 188L, and it’s available in three colors. Good afternoon! Showcasing some stuff from two ongoing events, Salem, which I shared about in yesterday’s post and then items from the special October round of the Arcade. Hello everyone! Not enough time today as I’m posting this during the last several minutes I have left of lunch time then its back to work. My morning has been hectic so here’s hoping the afternoon is a bit better. *Modeh Ani Tablet Clutter by .peaches. Hello everyone! Hope it’s been a fantastic weekend. Mine has been pretty busy in real lately. It’s almost midnight here so I won’t delay this post as I really need some sleep as tomorrow is a new week and lots to get done. I’m showcasing a new build by Galland Homes. 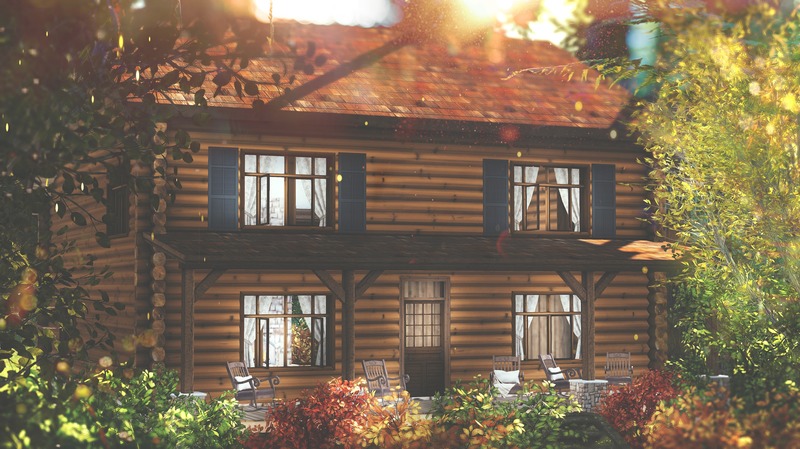 The Franklin is a log home with a land impact of 127, and is for 2048 sq.m. 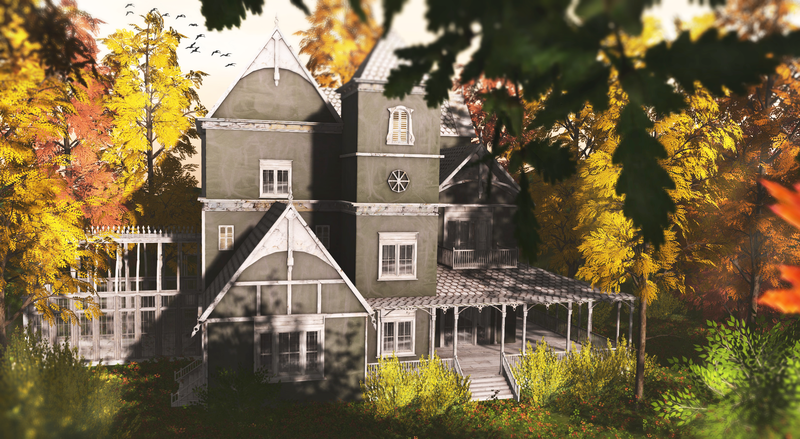 or larger lots at 20 m. x 24 m. It’s currently available at FaMESHed. The rocking chairs on the porch are all by Raindale and available at the current round of The Liaison Collaborative. Have a fantastic week ahead! Summer Memories – Curtain – Tan by .peaches. I mentioned a couple of days ago that I was working on something new. I’m so happy to announce to you all that after years of blogging home and garden I am partaking in the development of a new home & garden event that is coming to Second Life in September. I’ll be sharing more details as the days go by leading up to the event, so stay tune for a lot more. In the meantime let me introduce you to Blueprint!! Blueprint will be a monthly event that aims to showcase the newest home and garden products across the grid that will inspire to make your homes and businesses in Second Life even more spectacular. 100% original mesh exclusive designs each month. Good morning!..and Happy Father’s Day!! The sun is shining in both my worlds today. I have some running around to do so not much talking today. I’m featuring the Bella Vista Cottage by Dad-Virtual Living-, which is a fantastic family beach home. It’s perfect for the summer months. I’m not showing it all, though I’m linking you to creators website, where you can view more pictures of this home and all its features. 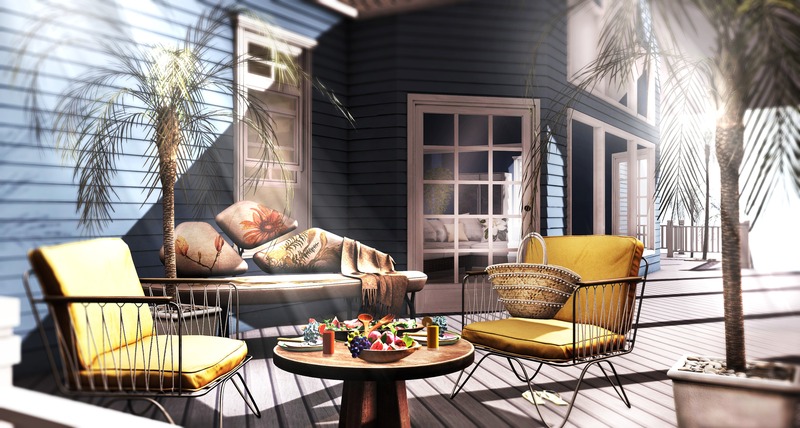 Hive is bringing the Oceania decor set, which is the various palm trees for decor and landscaping along with the chair, summer bag, flip flops (one shown only), and coffee table. You can find both these items over at Collabor88. I’m also showcasing some more great finds from the Arcade. Trompe has the linen floral couch and ChicChica the smoothies, that sound just perfect for a day like this. Look below for the rest of the items used today. Guess that I did more talking than intended. Enjoy!